Restore essential moisture with this hydrating lotion, delicately scented with Winterberry fragrance. Soothes dry skin and absorbs immediately with a velvety feel. For optimal results, use with complementary Creative Scentsations Winterberry Scrub. A light hand and body lotion with a harmonious balance of scents that softens and hydrates skin with Vitamins A and E, and Aloe Vera. Softens and hydrates skin. Unique blend of scents. Long-lasting fragrance appeal. Fun! For optimal results, use with complementary Creative Scentsations Hand & Body Wash and Creative Scentsations Hand & Body Scrub. Enjoy the cool relaxation of an exotic vacation with Exotic Oils from around the world. Escape to Morocco, India and Tahiti with these deeply restorative and nourishing body lotions. 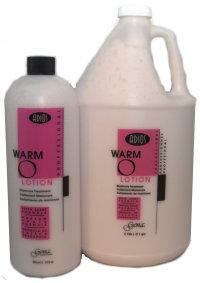 Each exotically fragranced lotion will leave your skin feeling soft and touchable. These rich, nutriment formulas contain shea and cocoa butters, aloe vera, and vitamins A & E to penetrate, condition and soothe dry, chapped skin. 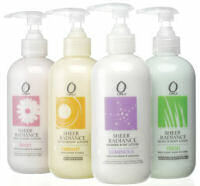 Plus, aromatic extracts leave body, hands and feet soft and fragrant, with no greasy residue. Hand & body lotion with aloe and chamomile plus the aromatic extracts ylang ylang and cubeba, extracts of passion fruit and orange along with aloe and chamomile, peach and ginger, tiny sparkling microcrystals and a sensational tangerine and magnolia scent. 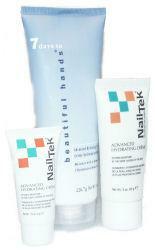 A professional manicure treatment designed to soften cuticles, condition nails and moisturize skin. Ideal for hot oil manicures. Available in Original and Fresh Scent formulas. Advanced Hydrating Creme with a "MEMORY" helps store moisture deep within the skin. This crème reactivates on contact with water. 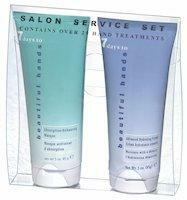 Simply rinse hands to re-moisturize the hands. A blend of select ingredients with the scent of pure almonds. Use as a massage cream for the face, neck and body, or as a cleansing cream. A blend of natural cocoa butter and pure lanolin in a non-greasy moisturizing base. Helps protect skin from the sun (excellent for use on skin over-exposed to sun or wind), prevent dry skin wrinkles, lines, 'crows feet', and relieve stretched skin during and after pregnancy. Recommended as a facial creme for day or night use, to cleanse and help restore and control essential moisture balance. Ideal for massaging the face and body. A blend of natural cocoa butter and pure lanolin in a non-greasy moisturizing base. Helps protect skin from the sun (excellent for use on skin over-exposed to sun or wind), prevent dry skin wrinkles, lines, 'crows feet', and relieve stretched skin during and after pregnancy. Soothes and softens dry, irritated, chapped or sunburned skin. Also helps relieve stretched skin during and after pregnancy. Cucumber Massage Cream a blend of select ingredients with the delightful scent of pure, fresh cucumber. 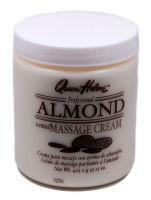 Recommended as a luxurious massage cream for the face, neck and body. May also be used as an all-purpose cleansing cream. Combines the beneficial moisturizing and conditioning qualities of pure Vitamin E with Glycerin and other valuable emollients to instantly relieve dry, chapped or irritated skin. It's non-greasy and won't leave any sticky trace behind. Regular use of Vitamin E Lotion will restore a healthy, natural look to your skin, and help keep it in top condition. A triple-whipped, soft, fluffy cleansing cream that absorbs stubborn impurities. Water-soluble contains no paraffin wax. Highly recommended for sensitive skin. Creamy non-foaming formula gently washes away dirt and makeup without drying your skin. Mild enough to remove makeup from eye area. 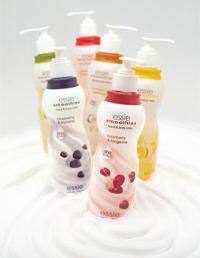 Follow with Skin Careapy Refreshing & Gentle Toner. This non-greasy lotion, with aloe vera gel and rich lanolin, is readily absorbed by the skin helping to restore natural moisture and emolliency. Helps relieve chapped and rough dry hands, soothes and moisturizes sun-burned and wind-burned skin, and smoothes and softens the skin when used as an after-bath body lotion. Lotion gallon pump sold separately. Soft-Petal Your Skin All Over! This super-rich lanolin lotion is quickly absorbed to help restore softness and smoothness wherever dry skin is a problem. Superb hand, face and body lotion. Ideal makeup base, cleansing cream and after shave soother. Not greasy or sticky. Lotion gallon pump sold separately.